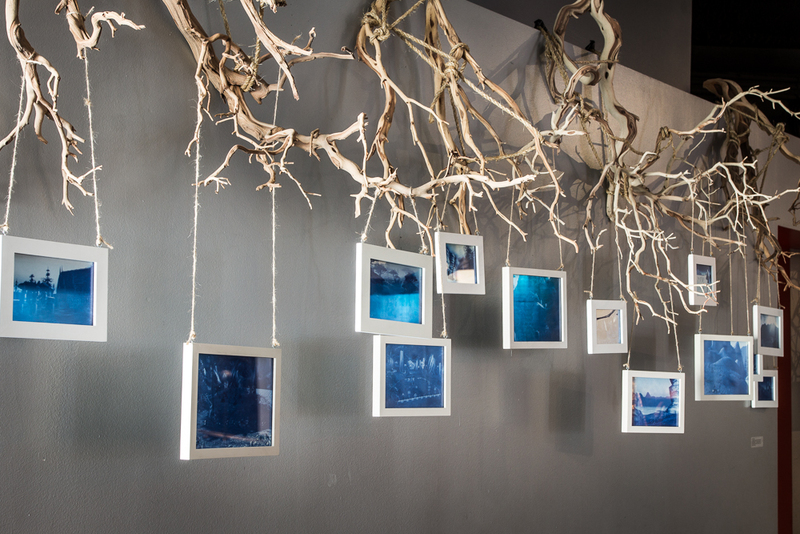 Resting Place is an installation of faux-cyanotypes hanging from dead tree branches. 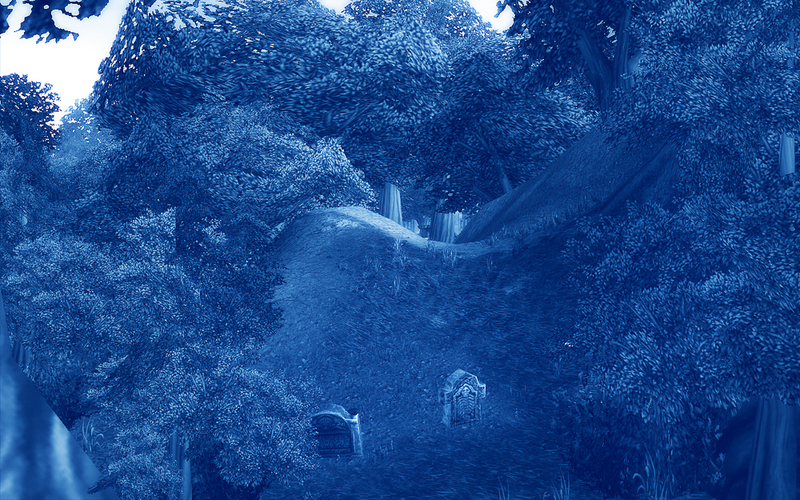 The photographs are archival inkjet prints of screenshots of one of the innumerable graveyards that litter the virtual landscape of World of Warcraft. 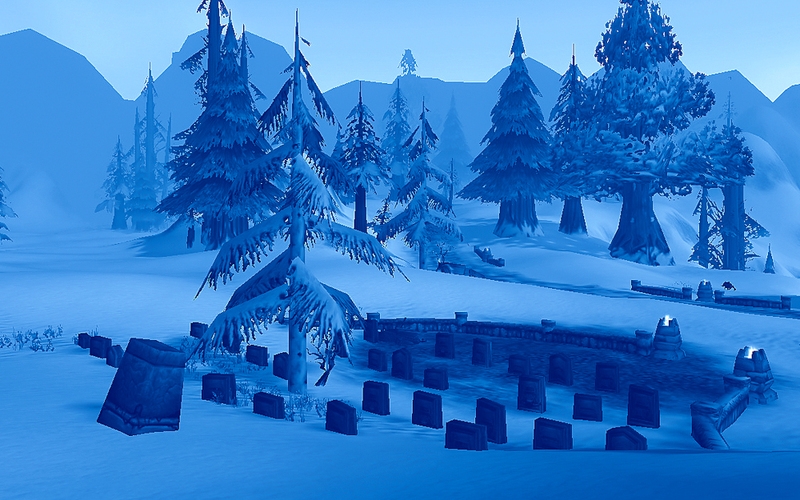 Some graveyards are where players respawn after their (inevitable) deaths. 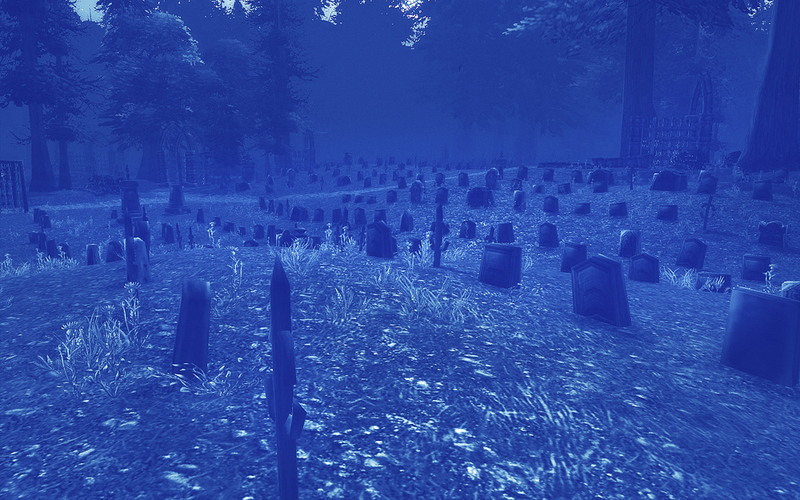 Some are locations for quests or battles that deal with the afterlife and undead. But many are simply set-pieces used to build the ambiance and implied narrative of the world. 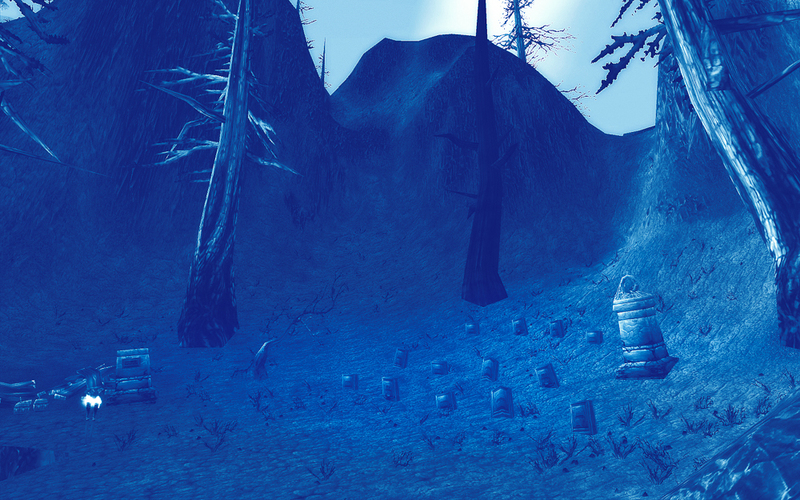 All of the tombstones are nameless, knowable only by their sculptural form.